3D model that works as an upgrade for the car and gives you the view from inside the helmet. but you'll notice a few bumping of the light in relation to visere, which is real... see videos! 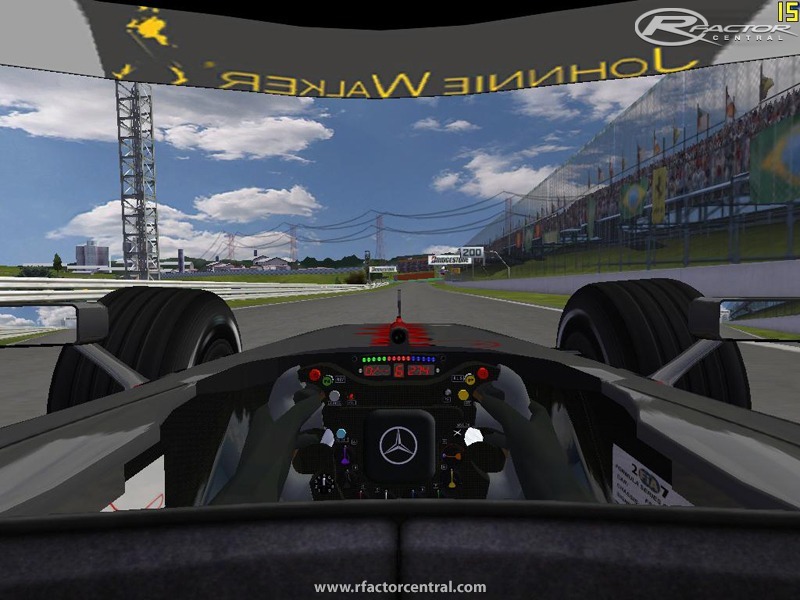 This Demo version comes with helmet views for the bmw sauber, mclaren and ferrari. Remember that this version is tv style dependent, so u'll have to donwload helmet skins and make sure u select it's profile in tv style to have the proper helmet in game. BMW sauber skin is not ready yet, just the upgrade stucture and the visere model. After u install it go to upgrades in your car and buy the helmet view in the color u want (if colors are the case). Read me still in portuguese, but if you read this is is not necessary. Is it possible Use this mod for FSONE 2008? Static isn't correct either. Helmet always moves a bit, especially over bumps, I remember very well from karting. But I suppose high frequency vibration isn't possible to simulate. Anyway, very well made! Is it possible to use those helmet views originated for FSOne07 for MMG 07 as well? OK. I managed to put helmet static as physics says it should be. I eliminated all modeling from helmet except visor... now it is tv style dependent. I've been making wet visors fot tv style to go with this. You can check the more recent videos I uploaded for version 0.5 to be reased until the weekend. But remember to donwload tv style and skins (I'll make the abailable simultaneously) so that it will work properly. Hm nice Idea but i hope it comes for CTDP and MMG also. One thing has to be fixed for final version the helmet schouldnt move cause its fixed to the head and not the car. in the future I'll try to make a tutorial. how can i do this for a another mod?